Google Docs has recently added a new functionality that allows you to integrate different chart types right into your document. These charts are pre-made and all you have to do is to edit and customize them using your own data. Editing is done on Google Sheets. 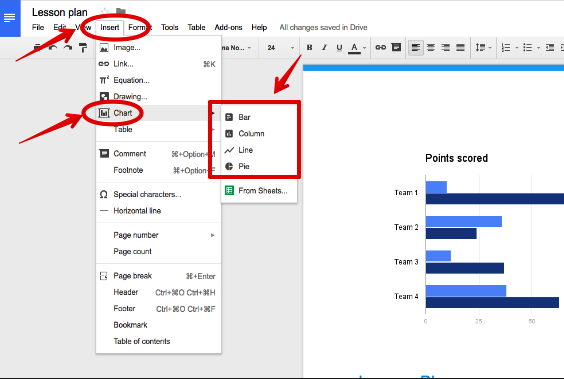 Once you edit them, new changes will be reflected in the original chart you have embedded in your Google Doc by simply clicking on the ‘update’ button that will show up in your document. Alternatively you can build your own charts from scratch on Google Sheets and integrate them into your document using the ‘Insert’ button. With this new feature, you are able to create and experiment with four major pre-made charts namely: Bar, Column, Line and Pie. 2- Click on ‘Insert’ and choose from the four chart types there. 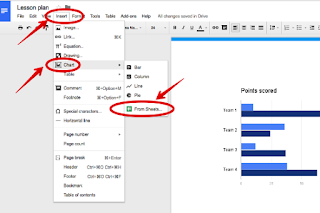 Once the chart selected is added to your document, a link will appear on the bottom left-side of your document which you can use to edit the chart in Google Sheets. 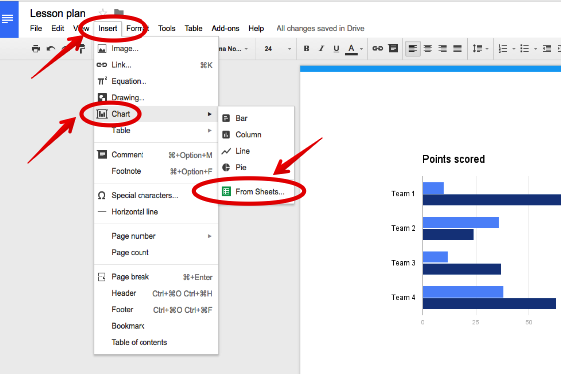 3- If you want to insert charts you made on Google Sheets into your documents, in your Google document, click on ‘Insert’ and choose ‘ From Google Sheets’.